Soured Milk – is the fermented milk product that is found in Northern Europe, especially in Poland. It forms naturally from bacteria in fresh milk and these bacteria live happily in colder climates. When we used to have farm milk at home my mother made soured milk all the time and then also made twaróg – Polish curd cheese from this. However you cannot make soured milk from pasteurised milk (of course you can in a dairy where they will have the starters). My mother had this on the go all the time, mainly to make the curd cheese which is used in lots of Polish recipes – savoury and sweet. Yoghurt – is the fermented milk product that is found in Southern Europe and the Middle East. It forms naturally from bacteria in fresh milk and these bacteria live happily in warmer climates. You could say that yoghurt is soured milk’s cousin. It is a relatively new dairy product for sale in Poland but is now very popular. 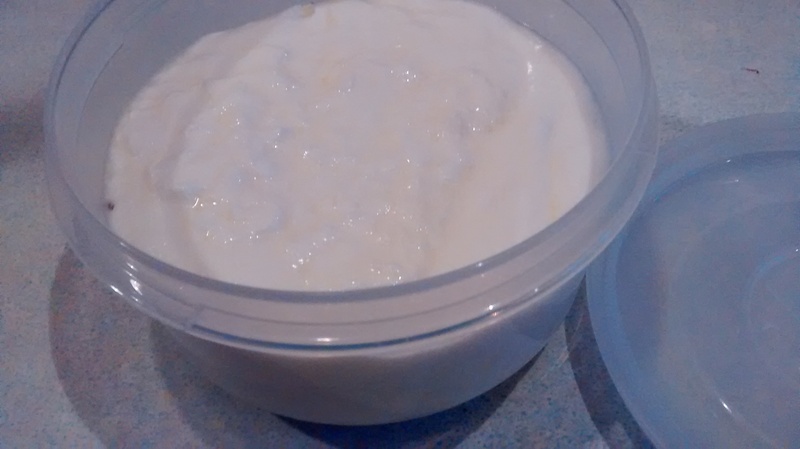 You can make yoghurt at home because you can use some bought yoghurt as a starter and then continue using your yoghurt as a starter and so on. 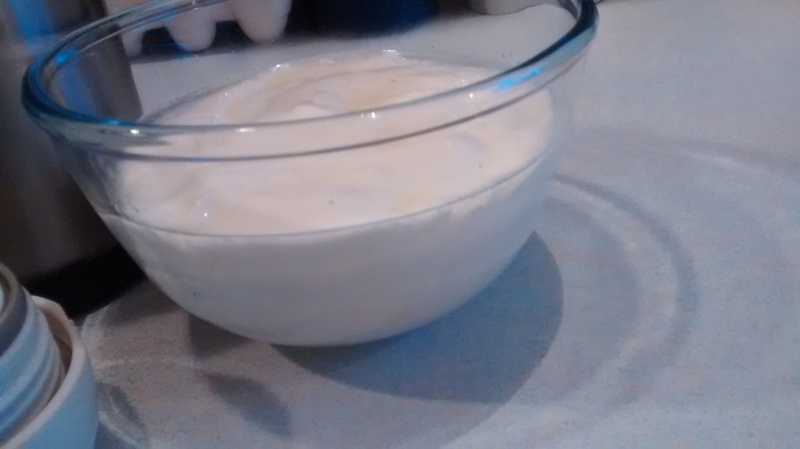 I go through phases of making yoghurt – it is easy to do – you just need a little bit of time and a supply of milk and some bought yoghurt as a starter. 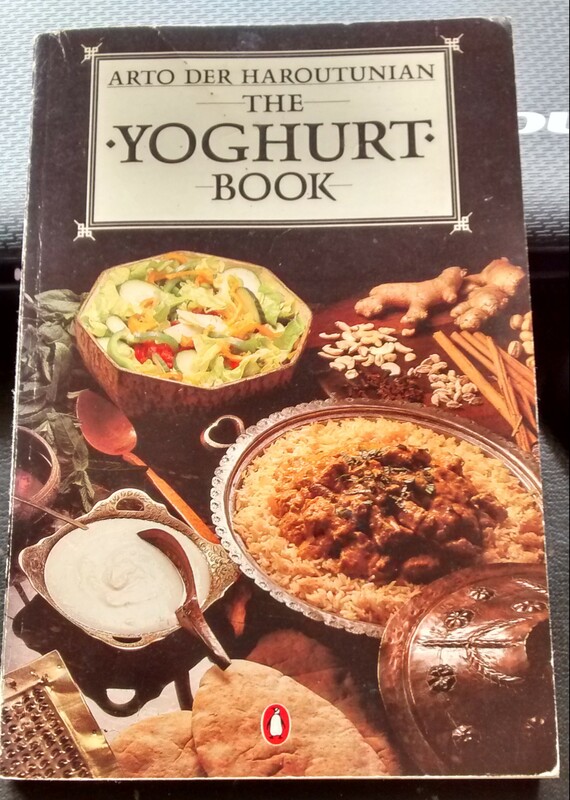 The Yoghurt Book – Food of the Gods by Arto der Haroutunian – first published in 1983. Mine is an old copy. I think it might be out of print but there are second hand copies available for sale eg on Amazon. This book is American & YoChee is the authors name for yoghurt cheese. I use a wide-necked vacuum flask, it holds about 750 ml (it must be wide necked or you will have difficulties cleaning it). 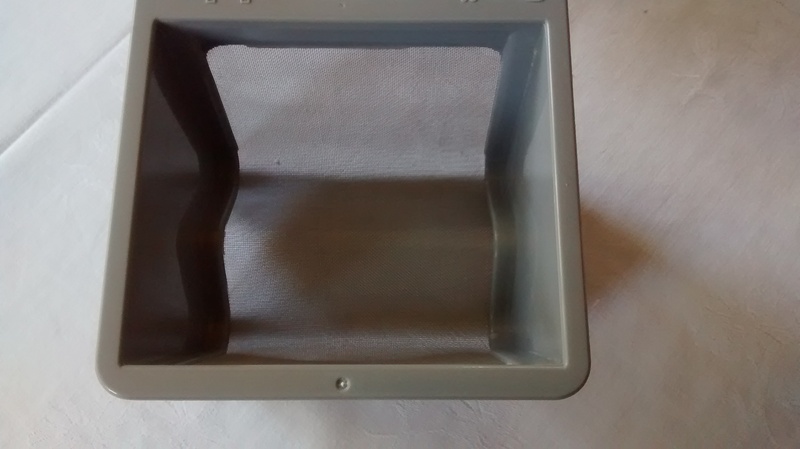 I fill it with boiling water to sterilise it and heat it up. 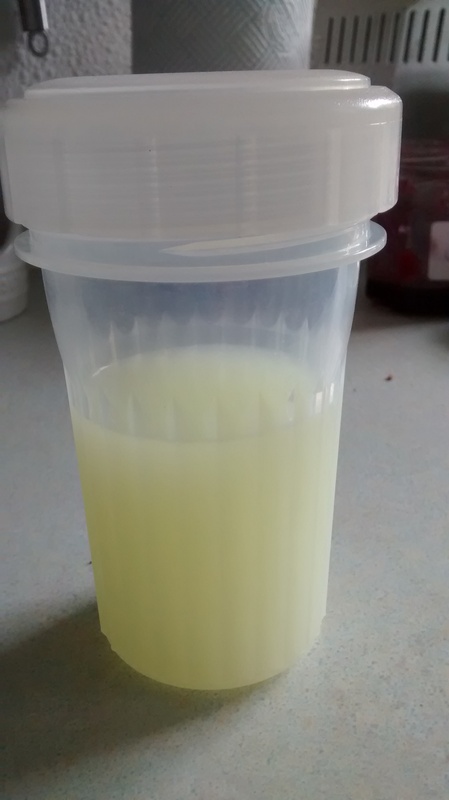 I leave this with the water in whilst the milk is cooling down – then I pour out the water and add the yoghurt mix. I often make this at night and it is ready in the morning. You can make it in the morning and it should be ready in the evening. 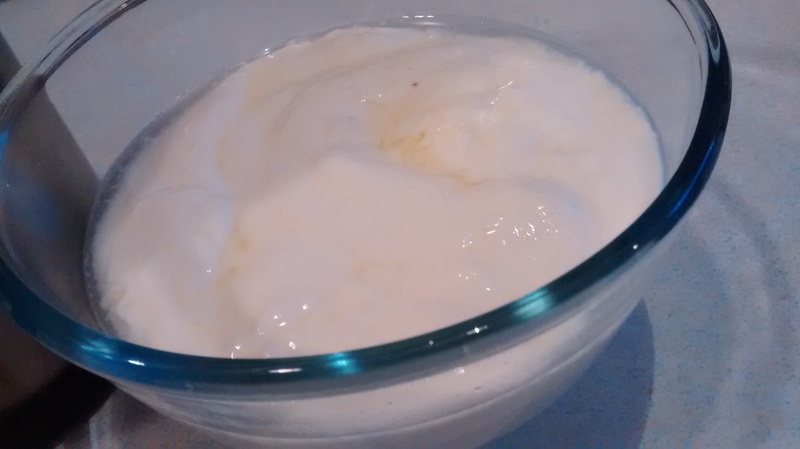 Now that milk is pasteurised you need a yoghurt starter, Greek yoghurt is good, once you have made some of your own, you can then use that to start the next batch. You need milk – you can use whole milk or semi skimmed – you can use skimmed milk but I prefer the others. 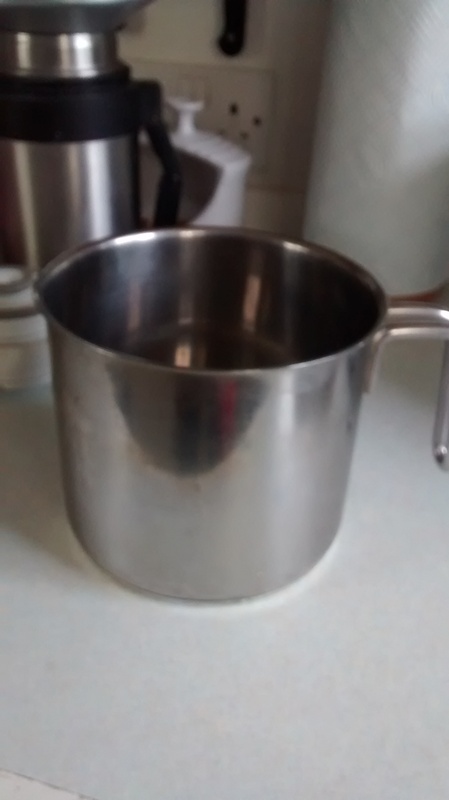 I have a tall milk pan which is very useful as there is height for the milk to rise without spilling all over the cooker top. 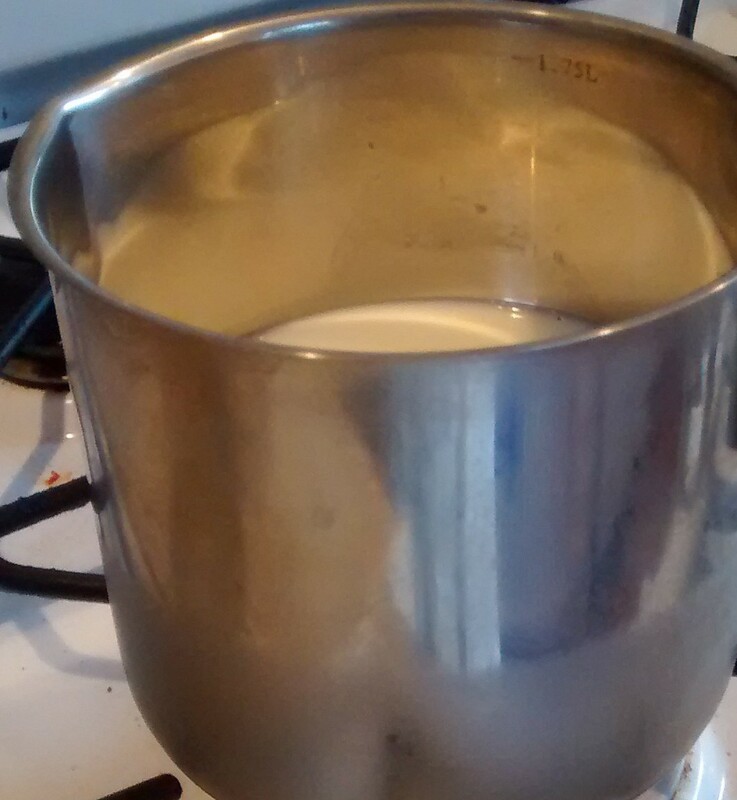 Bring the milk to the boil and then let it cool to 37 to 40 degrees o C, if you dip in a finger tip it must feel just lukewarm, no hotter than body temperature, and you should be able to keep your finger there for a count of 10 without it being too hot or you can use a cook’s thermometer. This is important, too hot will kill the bacteria, too cold may not be warm enough for the bacteria to grow. Mix a large tablespoon of yoghurt into the milk, about 1 tablespoon to 500ml of milk. You then have to leave the mixture in a warm place to grow. You can put the mixture in a clean, sterilized with boiling water, bowl and cover this with a cloth and leave it overnight or about 12 hours. This is the easiest method in the summer or if you have a warm but not too hot spot in the house. 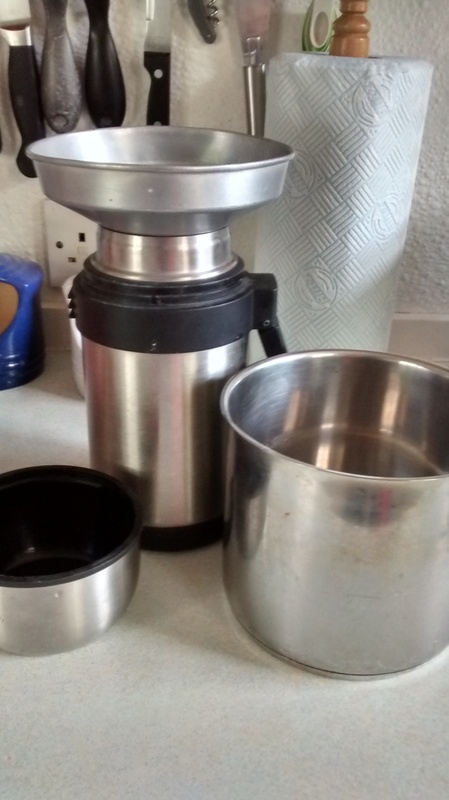 I empty the hot water from my vacuum flask and pour in the milk & yoghurt mixture, put on the stopper and the lid and leave for around 10 hours. I have used a thermostatically controlled yoghurt maker in the past and you put the mixture into little pots and left them. I found this did not make much yoghurt in one go and there was a lot to clean out and sterilise. 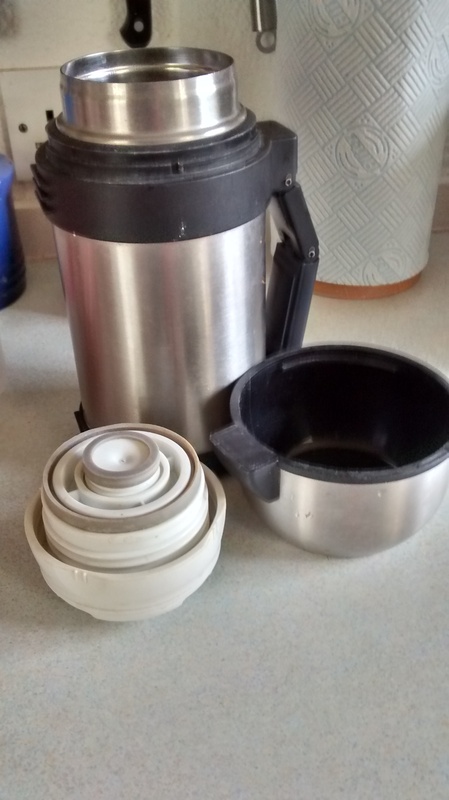 I started to use the vacuum flask method and have stayed with that but some of the new electric makers now have just one large pot and I think they may be easier to use. Once it is made, pour it into a bowl or tub and refrigerate the yoghurt, it tastes so much better and fresher that any bought ones. I bought some plastic food storage tubs with lids specially for this. At this point you can start again and when you have loads you will start to think “maybe I will make some yoghurt cheese from this” and on it goes! With the yoghurt, sometimes I eat it plain, or use it instead of milk with muesli or other cereals, dried fruits and nuts. Mostly though I add fruit to it, chopped fresh fruit sprinkled with a bit of icing sugar, stewed fruit or tinned fruit. I love it with stewed prunes! It is super with just a spoonful of runny honey. Sometimes I use it as a salad dressing on its own or mixed with mayonnaise. Also known as YoChee and in the Middle East as labna or labneh. 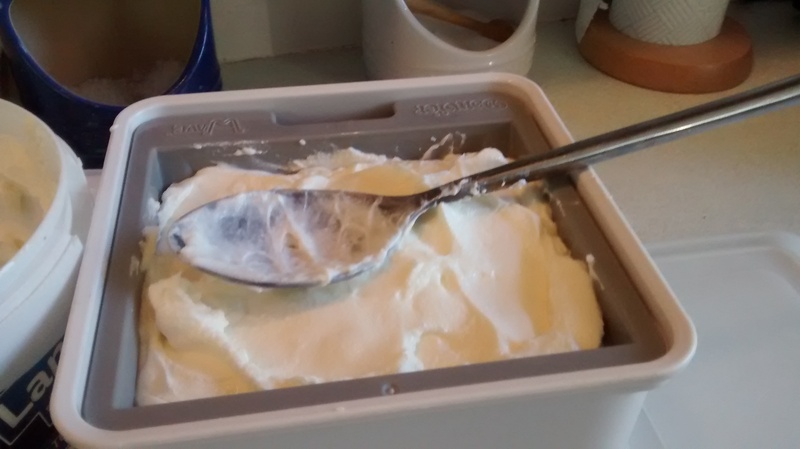 The yoghurt cheese is made by putting yoghurt into a muslin cloth and tying it up and letting the whey drain off from the curds. This will take many hours and is best done in a cool place. I bought a little device from Lakeland Plastics which is a modern version of the hanging muslin cloth. 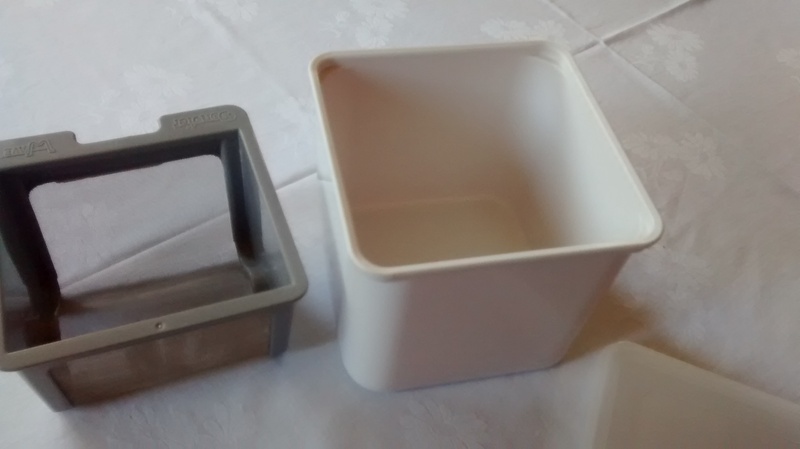 It is a plastic tub with a stainless steel fine mesh sieve which hangs in the box. You then put on a plastic lid and then put the tub in the fridge. I leave this to strain for at least 24 hours – often up to 48 hours. 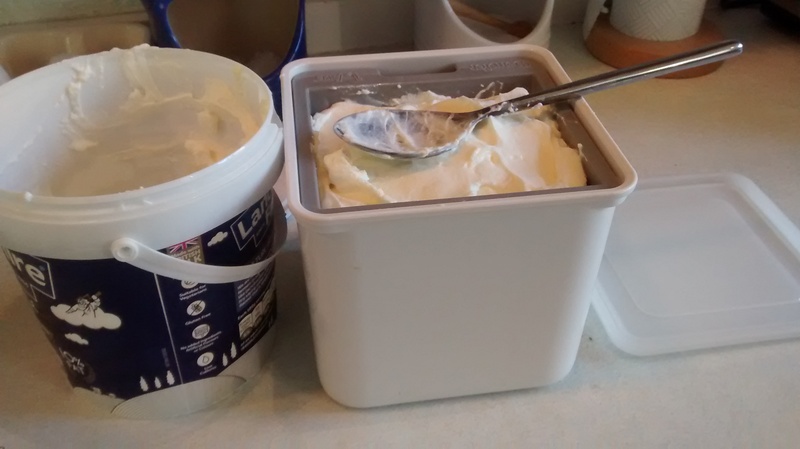 Sometimes I buy a 1kg tub of Greek yoghurt to make the cheese if I do not have any of my own – this is more than enough for the tub. 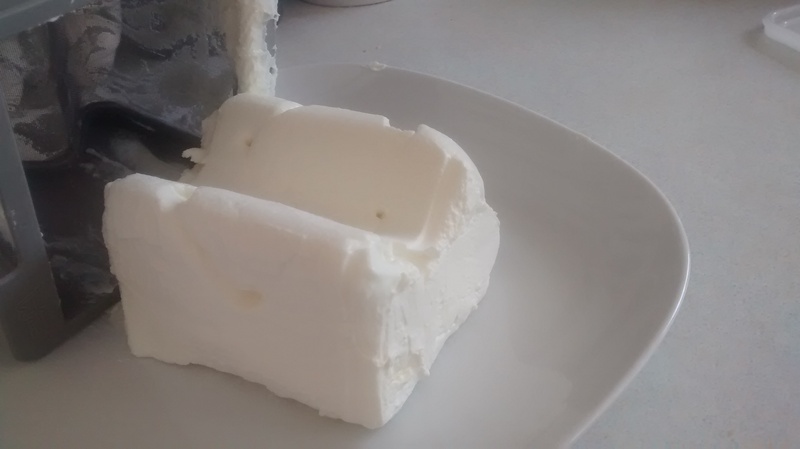 Yoghurt Cheese as it comes out of the pot. It is a soft, fresh tasting cheese. I eat it uncooked either plain or with chopped onions, chives or garlic, with chopped dates and banana or jam and so on, the list is endless. I use yoghurt cheese in Polish recipes instead of twaróg – Polish curd cheese to make baked cheesecake or Polish style ravioli with either sweet curd cheese or savoury with potatoes, onions and curd cheese and much, much more. I would use this home made cheese within a week as it does not of course have the shelf life of commercially, often vacuum packed, cheeses. 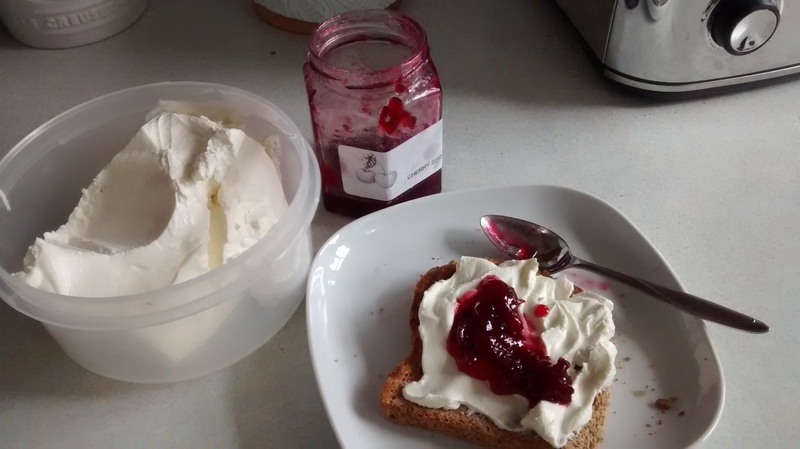 This morning for breakfast I had some freshly made yoghurt cheese on toast with some morello cherry jam which my friend had made a couple of weeks ago from cherries growing on her allotment. 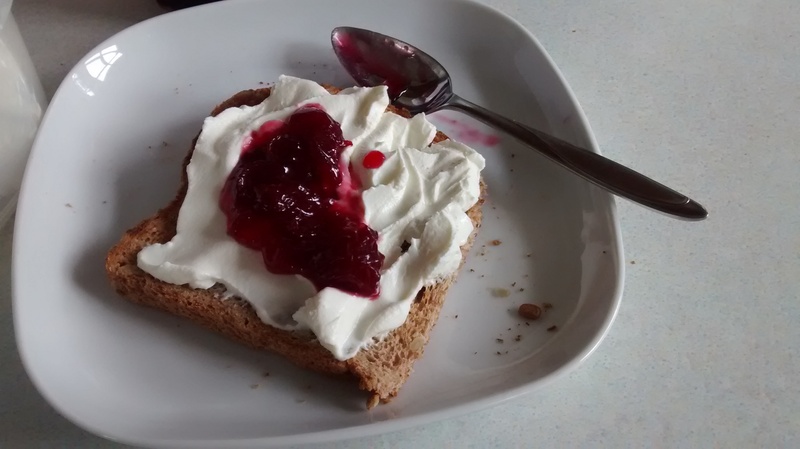 The cheese is wonderful with other slightly tart jams such as blackcurrant or damson. Tub of whey you can keep in the fridge. 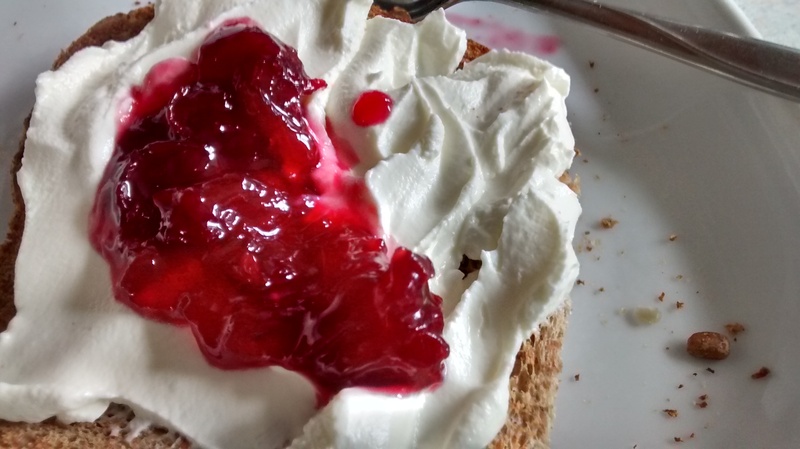 The liquid whey that is in the bottom of the tub can be saved and used instead of water, milk or buttermilk in making scones and soda bread etc or you can add it to soups. This was really useful since I was planning to make yogurt and had just bought Greek yogurt from Lidl, so all I need is the wide necked flask. Thanks so much. I hope you enjoy lots of lovely fresh yoghurt. Thanks for the yoghurt/cheese making instructions. I’m now really looking forward to baking cheesecake from yoghurt cheese. 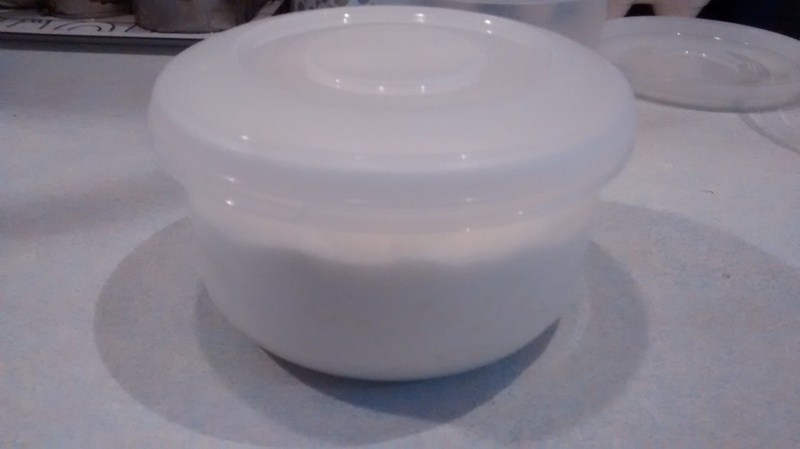 I would add a tablespoon or two of cornflour or custard powder to your cheese mixture as I often find the yoghurt cheese is a little wetter than twarog. The Lakeland yogurt cheesemaker is brilliant. I bought one recently and had a go at making yochee. It was so easy to do and made something absolutely delicious. I had it on toast with jam and used it for a quiche. So thanks for the information. So pleased you liked the yoghurt cheese.